Hair transplant cost in Mumbai is comparable to other cities in India. The latest development in technology and the skills have made hair transplant a very successful mode of treatment. The quality and results produced in Mumbai are as per the international standards. Regular upgradation in the skills of the doctors through lectures, seminars and workshops adds to the success of hair transplant. Experienced doctors will always know how to maintain the balance between the availability and requirement of the grafts. Hair Transplant cost in Mumbai depends on number of grafts or roots required for covering the area of baldness. 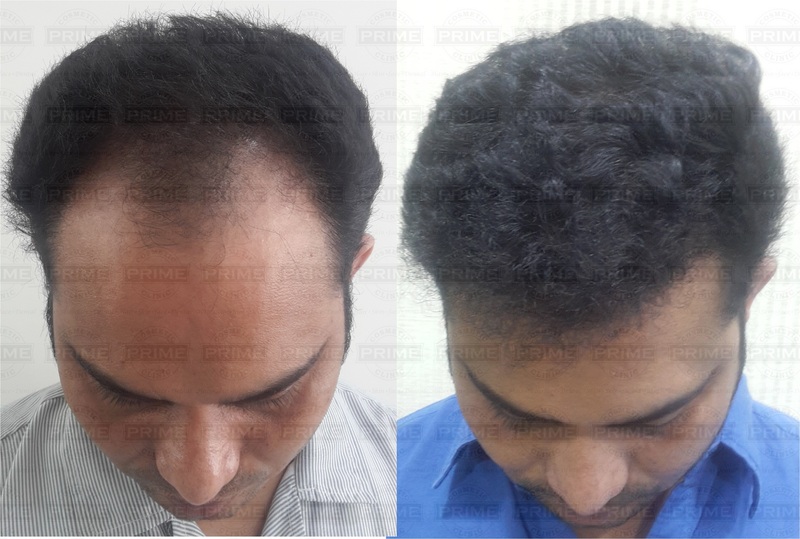 The required number of grafts depends on many things like area of baldness, technique of hair transplant used, size of the head, availability of donor area, desired density etc. Even if you are considering for artificial hair transplant in Mumbai the cost is very affordable. Choosing a clinic for best hair transplant in mumbai is a very big decision for anyone. Select a clinic which tells you about all the treatment options that are available. The clinic should be informing you about all the pros and cons of every technique. You should be aware about what to expect in the post operative period. Prime Hair Studio offers you the state of art clinical set up and a good success rate with FUE hair transplant in Mumbai. We have experienced surgeons doing hair transplant procedures on day to day basis. Hair transplant cost in Mumbai Prime Hair Studio is very affordable. Our Results speak for us.